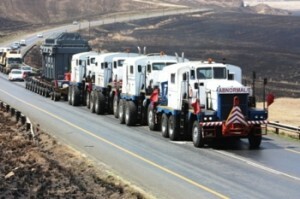 FixonRoad.com™ is dedicated to bringing you the latest news in the trucking industry. If you find yourself in need of emergency roadside assistance for your truck or your fleet of trucks, then you can count on the mobile road service professionals at FixonRoad.com™. It is our pledge to provide you with the best quality Truck Repair and Services Business Directory in the United States of America. Fifth wheel positioning is crucial when getting full use of the rated capacity of all axles. This especially pertains to the front axles in particular. 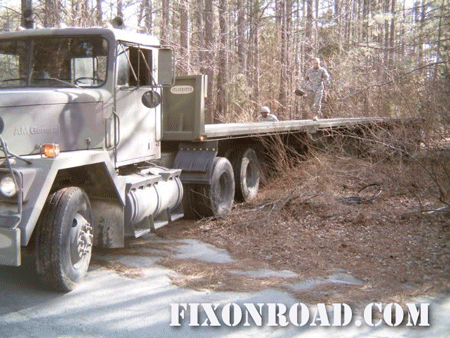 This FixonRoad.com™ trucking news feature focuses on the important of proper fifth wheel positioning – especially when it comes to Big Rigs, Low Boys and Heavy Haulers. 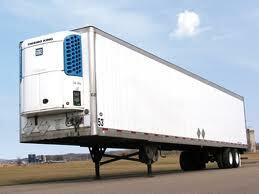 Fifth wheel positioning is crucial when getting full use of the rated capacity of all axles. This especially pertains to the front axles in particular. 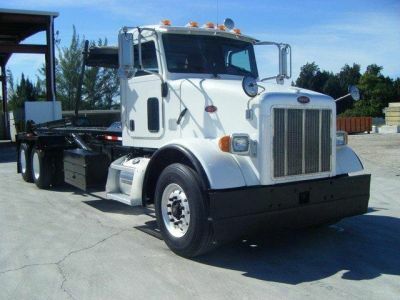 The front axles are commonly rated at 20,000 pounds, but a 22,000-pound rating is also an option for heavier loads. Trucks with axels that have ratings of 22,000 pounds also may require wide-aspect front tires depending on state regulations. Another consideration for trucks with these specifications is installing a dual steering gear system to accommodate the heavier loads. Truckers who drive heavy haulers generally find themselves in situations that require them to maneuver their trucks at slow speeds. 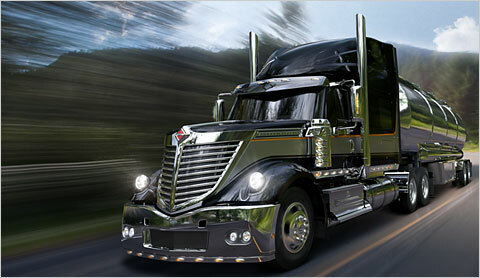 Trucks that operate at slower speeds places an increased amount of pressure on the steering systems. To combat this issue, it is recommended to use an oil cooler on the steering system. 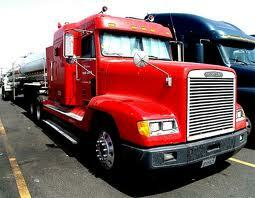 This will help to regulate safe operating temperatures when presented with tougher trucking conditions. 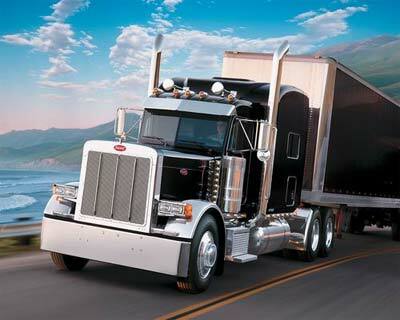 Another consideration for heavy haulers is the use of air suspensions. In the past, rear suspensions on heavy haulers have been mechanical types, but air suspensions can offer more stability and less of a chance of breakdown. Air suspension offers a smoother ride and more flexibility. 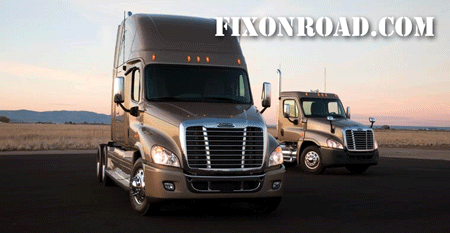 Whether its truck axel service, truck suspension repairs or truck tire service, FixonRoad.com™ gives our visitors access to the most comprehensive list of Truck Repair service providers around. Our Truck Repair and Road Service providers specialize in: Mobile Repair Service, Truck Repair Towing, Mobile Trailer Service, Trailer Repair, Truck Stops with Repair, Mobile Tire Service, Truck Tire Sales and Tire Service, Quick Lube, Mobile Bus Service, Bus Repair, Truck Air Conditioning, Mobile RV Service, RV Repairs and Service , Mobile Bus Service, Bus Repair, Truck Glass Repair, Mobile Refrigeration Service, Reefer Repair and Service, Liftgates, Mobile Hydraulics Service, Truck Body Shops, Truck Parts, Load Shifts and Transfers, Truck Welding Frame, Truck Alignment and Truck Suspension.